So you are working with a graphic LCD or OLED display and want to draw icons or fonts to display on it? 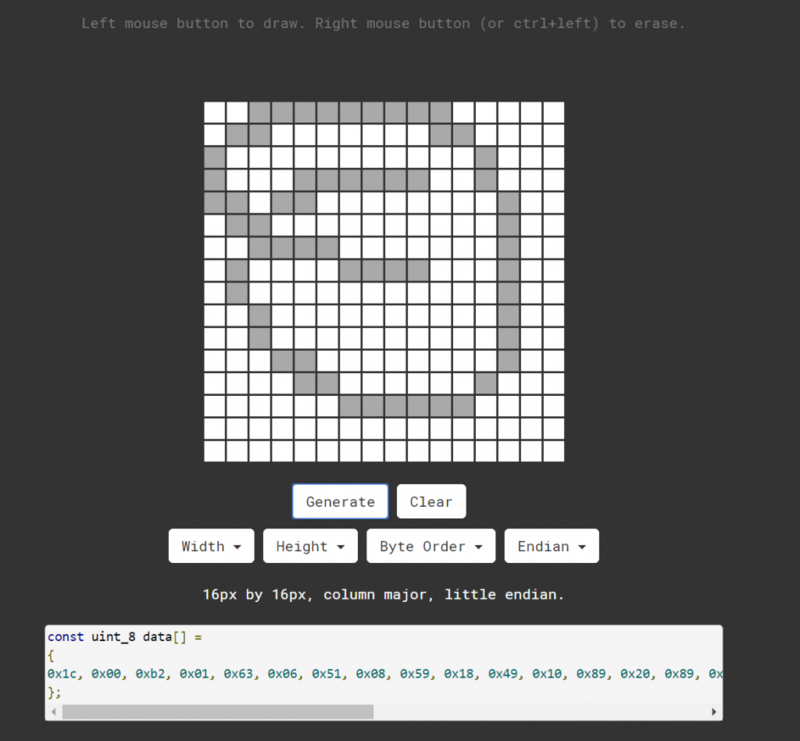 I have built a tool to make this easy by allowing you to specify information about your matrix (endianness, column or row major) so that we can take images you draw with your mouse and output the correct c-style array. This is great for any matrix type display you are coding for in Arduino/C++/C# such as the AdaFruit ST7735 128 x 160 display or any SSD1306 display.